Cycling is mainly an aerobic activity, which means that your heart, blood vessels and lungs all get a workout. But the question arises that are you keeping a record about improvement? I guess not. Now a days mobile devices have changed the way of people fitness goals. Thanks to to smartphones which had put powerful computer in your pocket. So today we will guide you how you can track your cycling and even you can share with your friends. There are several fitness and tracking apps available in Play Store. 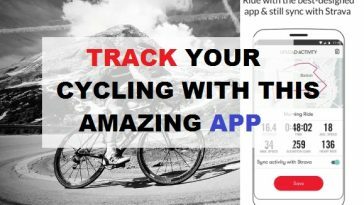 Recently one of the best tracking app available on Play Store is Bike Computer. Make your bike rides better by keeping track of your metrics using Bike Computer. You can share your cycling activity on Strava and Facebook, and stay safe with the unique Keep me Safe feature. So start tracking your every ride and share with your friends with Bike Computer.